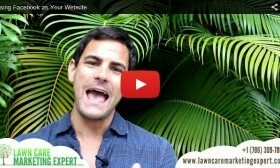 If you are relying on keyword only (exact match) domains for your landscaping or lawn care website to rank it may be time to implement a real search engine optimization strategy. I just wanted to do a quick update and make you aware of a new Google algorithm that is going to affect a large number of lawn care and landscaping companies. They have made an algorithm change that affects what they call ‘exact match domain.’ The exact match domain name is a domain name, such as, a common one would probably be something like ‘lawn care Tulsa,’ that would be an exact match domain name. 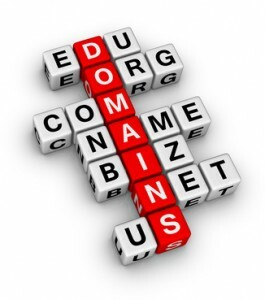 In the exact match, it means the domain name itself matches the key phrase that somebody is entering into Search. Previously, before this update, if you had the domain ‘lawn care Tulsa,’ when people searched by that term, if that was your exact domain name, you would get a bit of bump in the ranking. Google has basically given less weight to the effect of having an exact match domain, a domain with matching key phrases in it. If you are in a small market, and I know a lot of you guys are, and you are relying on this strategy to get your ranking, and you do not have a real SEO plan in place, then you probably, definitely have taken a hit. Go do some searches, check your ranking. This makes me think about something else. Keep in mind that you need to be targeting more than one keyword. This is something that I see common when new clients come to us, they us, ‘I have a great ranking for lawn care and then one city name.’ Pretty much everybody out there watching this is doing business and serving clients in multiple areas and in multiple cities. A really bad strategy to have is to think that you only need to rank well for one term. People are searching in thousands and thousands of different ways to find business like yours in our market, so targeting one term and just sticking for that is not going to be very effective, you are really missing out on a bunch of search traffic. That was a sidetrack there, but I wanted to mention that, as well. Back to the exact match domain name. If you have been relying on that, you have probably taken a hit in your ranking. You really need to think about investing in a real SEO plan. Google is making their algorithm stronger and stronger, and you need an SEO plan that updates with every Google algorithm change. What we were doing for our clients a year ago, this strategy that we were implementing for search engine optimization is completely different than what we are doing now. Unless you have time to really study this and have a team of people to keep up-to-date on all these changes and implement changes to your site to stay on top of it, and stay on that first page, then you are going to be out of luck. SEO is not going to get cheaper, it is going to get more expensive, and you need to implement a strategy today. The people who are active, currently have campaigns, and start immediately are going to be that much further ahead than their competitors who start later, so just keep that in mind. The sooner you start, the more advantage you have in staying on top of your competitors. I just wanted to mention that. Take a look at your rankings, and if you are using an exact match domain name, then you really should consider investing in a SEO plan ASAP. Have a good one. Bye.